About 20 minutes before serving, stir gravy mix into chicken mixture. Remove and discard bay leaf. In measuring cup, blend buttermilk and flour. 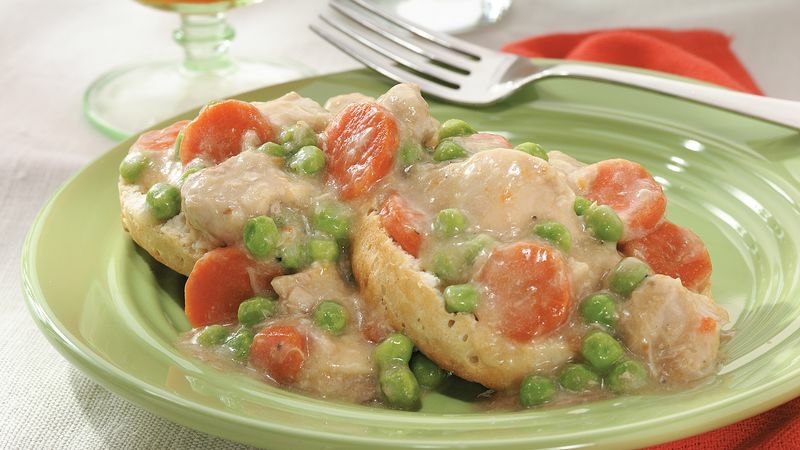 Stir flour mixture and peas into chicken mixture; mix well. Increase heat setting to high; cover and cook an additional 10 to 15 minutes or until peas are cooked.